Wearable Art, Inspired by Nature. 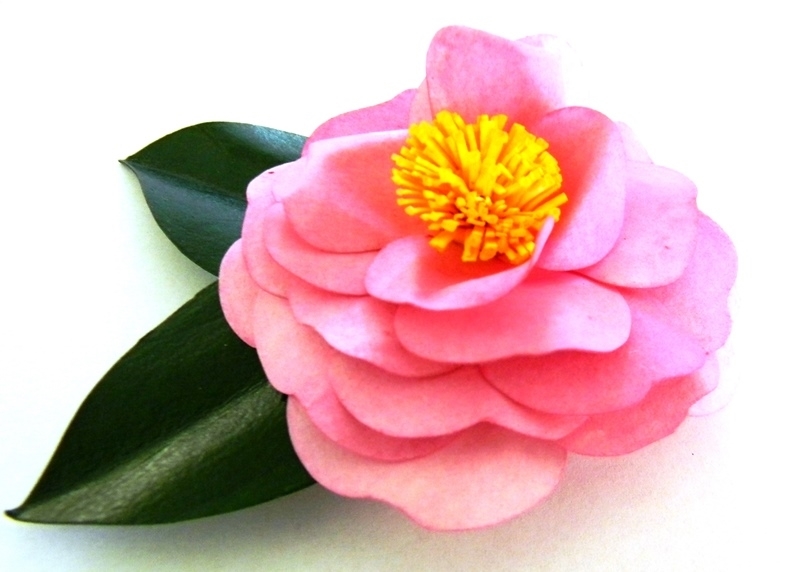 The Semi-double Pink Camellia Japonica Paper Sculpture Brooch is handmade by Kathleen Horner. Each petal of Horner's wearable flower sculptures is handcrafted from 140 pound watercolor paper, then carefully hand-painted with acrylics, and coated with a water-proof varnish. Each sculpture is a realistic, sturdy and long lasting reproduction of actual blooms.